Ever since a cavorting Brigitte Bardot put Saint-Tropez on the map and irrevocably changed the fortune of this sleepy seaside ‘village’ in the south of France, ‘St Trop’ has become synonymous with the lifestyle of the rich and famous. But beneath the glitz and glamour of gigantic yachts and designer boutiques, the essence of this charming pink Provençal town remains – meaning that no matter whether your tastes are champagne or pastis, you’ll find something to love. Local life in Saint-Tropez is centred around the dappled sunlight of place des Lices, a striking square studded with ancient plane trees, where the serious business of boules takes place. Watch it all unfold from one of the surrounding bars and restaurants – such as Le Sporting, the closest Saint-Tropez gets to a locals’ café, or the Café des Arts. The Saturday morning market also takes place here, encapsulating the dichotomies of this world-renowned destination: you’ll find home-made local tapenades, fougasses, cheese and charcuterie and brightly-coloured fruits and vegetables alongside vintage Chanel, fancy coats and some other delightfully incongruous beach-side items. For seafood lovers, the fish markets are held further into the old town in the place aux Herbes and take place seven days a week, accompanied by a small selection of vegetable vendors. If you miss the market and need to stock up on picnic items, the Lou Pistou deli, just off place des Lices, has a great selection of stuffed vegetables, pestos, salads, cold meats and dips (as well as amazing roast chickens) to take away. If you do just one thing in Saint-Tropez, it has to be the obligatory promenade around the harbour where you’ll spot some of the most luxurious yachts in the world. Depending on the hour, stop for a coffee or an aperitif at the red-awninged stalwart of the port, Sénéquier, and the place to be seen. 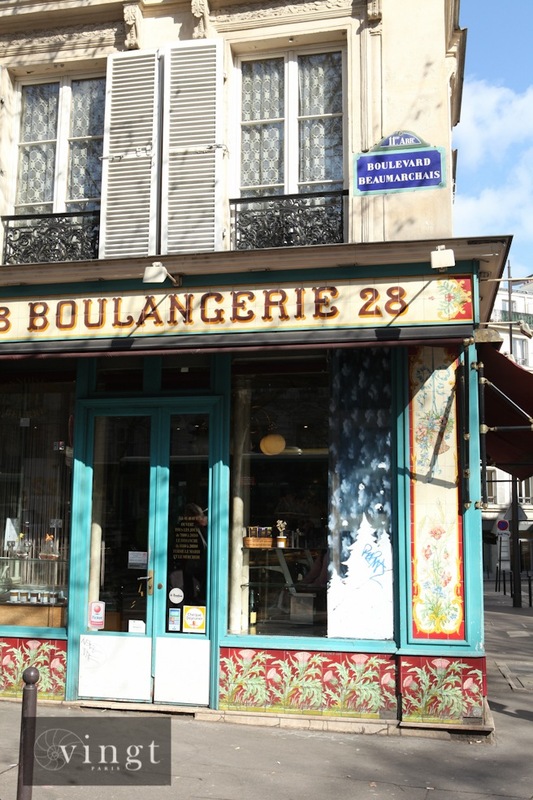 Alternatively, to sample one of the eponymous pastries – la Tarte Tropezienne – try the Aux Deux Frères bakery. As well as the namesake tart, an appropriately extravagant concoction of sponge cakes and cream, you’ll find excellent croissants too. Across the wider town, a treasure-trove of fashion designers have a presence here, from Louis Vuitton and Dior to Jimmy Choo, so be sure to take the credit card. However, if shopping’s not your thing, there’s plenty more to enjoy besides retail therapy. Highlights include France’s first museum of modern art, the Musée de l’Annonciade, founded in 1922. Here, visitors can discover collections from the Pointillist, Nabis and Fauvist movements. Elsewhere, located up in the historic citadel, there’s also a fantastic maritime museum that explores the town’s nautical past – and offers stunning views over the bay. Back at the harbour, really committed maritimers can enjoy a drink in the authentic sailors’ bar at Hôtel Sube with its beautiful outlook across the port. Beach-lovers should head to the Plage des Graniers, located just an easy stroll through the woods, or, if you want to push the boat out, you could try one of the private beach clubs such as the luxurious Nikki Beach in nearby Ramatuelle. Open for just three months a year, the best time to go is from 5-9pm when you can enjoy the long low rays in relative tranquillity followed by the legendary sunset. Look out for the guest DJs throughout the season, too, though you do pay for entry on those days. 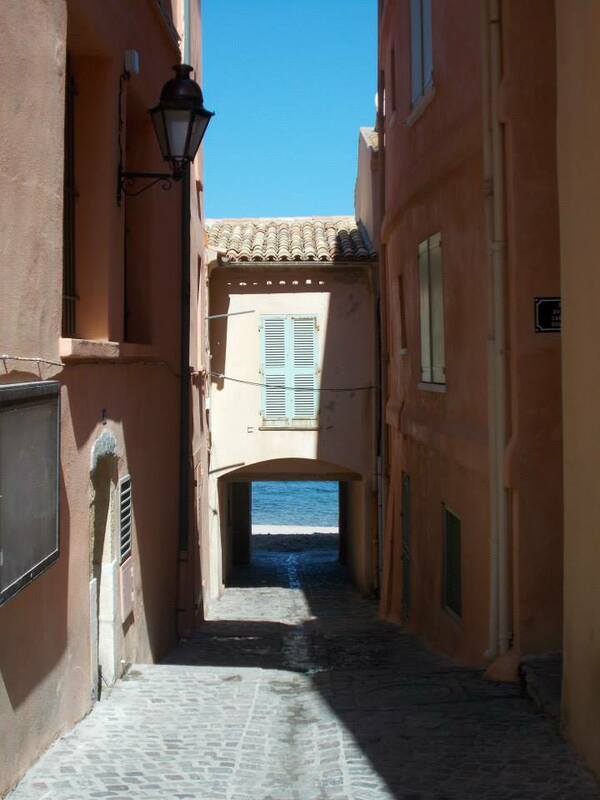 Old-school Saint-Tropez is best represented by the constellation of three enduring restaurants huddled together in the ramparts of the old town – La Ponche, La Pesquière and Le Mazagran. All three have acquired extra territory as years have gone by and now own almost all of the tiny paved street that curves around to a magnificent view of the adjacent headland and out to the bay. Tucked away from the busy port and dining on stuffed vegetables, ratatouille and fish soup served with rouille and toast on open-air tables, it’s easy to forget the jet-setter lifestyle down the road. La Ponche, on the ground level of a five-star boutique hotel, offers a terrific sunset view from which to sip your cocktail, while La Pesquière’s dinner menus are reasonably priced and very fresh. The equally affordable Le Mazagran offers typical southern dishes such as their renowned ratatouille. For a bit of celeb-spotting, take the short drive over to Le Club 55 on the Plage de Pampelonne in Ramatuelle. Owned by Patrice de Colmont since 1955, this ‘beach shack’ offers beautiful fresh food such as their legendary “panier de crudités”. Also outside the town, but well worth the trip, is the acclaimed Auberge de la Môle where Princess Diana is rumored to have dined. 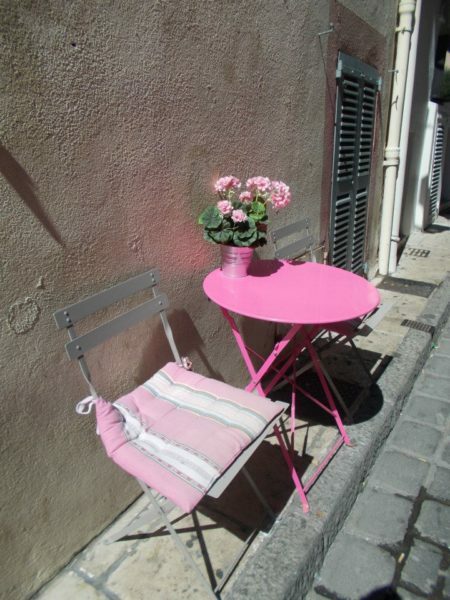 Located in the small village of La Mole, they are renowned for their traditional Provençal cuisine. More low-key, ‘in-the-know’ spots include brilliant beach café La Sauvageonne with its cute ‘cabin’ dining; the “Elvis”‘ pizza truck on the road to St Maxime (take our word, you won’t regret it! ); as well as the various ice cream parlours dotted across the town, such as our own favourite, Barbarac, though be prepared to queue. When it comes to a place to stay, it is the charming boutique hotel, Pastis, that gets our vote – facing the sea on one side and with its own private garden and pool on the other. Owned by John and Pauline Larkin, who will happily give you the low-down on the inside track of Saint-Tropez, their excellent taste is evident throughout the stylish decor. Alternatively, there’s the newly-renovated five-star hotel, Résidence de la Pinède, with its triple Michelin-star restaurant La Vague d’Or – but, be warned, there’s usually a three-month waiting list for that one. Or, if it’s quiet R&R you desire, head out of town to the five-star MUSE Hotel, a chic retreat nestled in the heart of an award-winning ecological garden complete with beautiful pool, or to the high-end La Réserve Ramatuelle, an exclusive conglomeration of rooms, villas and spa in a tranquil pine forest. For some good old-fashioned Saint-Tropez bling, there’s also the five-star Hôtel Byblos – home to legendary nightclub Les Caves du Roy, the destination of choice back in the day. Today, you can treat yourself at their Alain Ducasse restaurant, Rivea at Byblos, inspired by the culinary culture of the Riviera. For something a bit different, you could even think about hiring your own villa. At Repco Villas, Duncan and Marcella will help you to find your ‘home from home’. 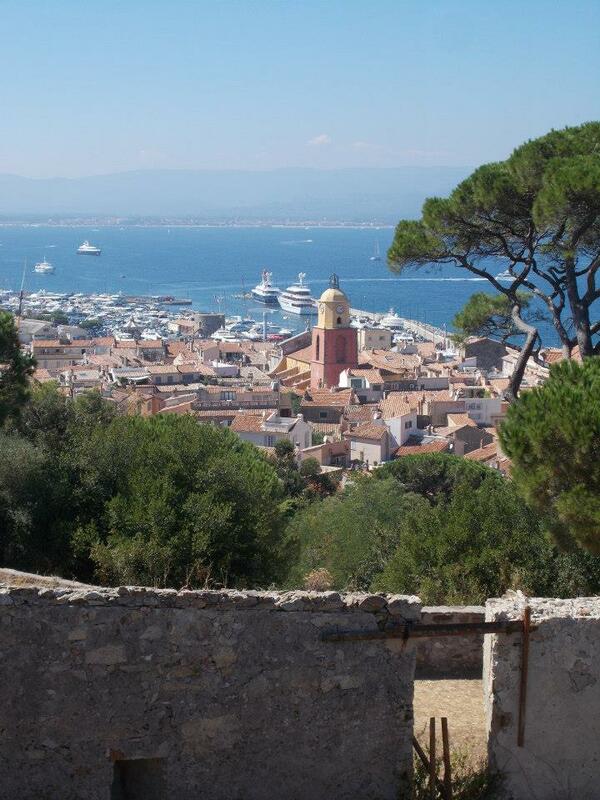 In summary then, whether it’s Bardot-style beach life you crave, shopping for the latest Louis Vuitton bag or simply learning about the town’s nautical past in the maritime museum, there really is something for all tastes in Saint-Tropez. And, who knows, you might even spot the legendary actress-turned-animal-campaigner herself, as she still lives locally to this day.